Carol (‘da Ma’) Tank (Kupsh), age 93 years, of West Bend was called home to be with her Lord on Feb 5, 2019 surrounded by her loving family. 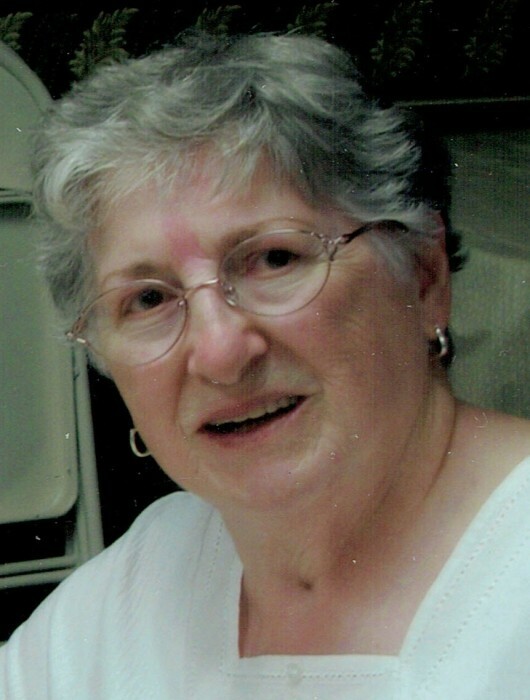 Carol was born on December 17, 1925 in West Bend to William and Clara Kupsh (Michels). Carol graduated from Hilbert High School in 1943. She planned to go to college to become a teacher but after 2 years, married Max Tank and started a family. Carol went to work planning for six-months of employment which became 30 years at Hampton Laundromat in Whitefish Bay. She was an AVID reader and loved to talk books and share her favorites. There was also often a jigsaw puzzle in process and all her children loved finishing it for her. She became a master joke teller always opening Bingo at her apartment complex with her latest favorite. She enjoyed spending quiet time with her sister at the family cottage on Lake Winnebago where they would go ‘bumming’ to the local thrift stores and then go back to the cottage to read. Carol was so much to so many. She was one of the most beautiful people in the world. Blessed with a truly amazing spirit, her laughter will forever resound in our hearts and minds. The adage “when life gives you lemons, make lemonade” is the perfect way to describe her. She embraced all that life threw at her and never hesitated at the opportunity for adventure. Whether it be a cruise in the Mediterranean or a walk on a cobblestone street in England or a hot air balloon ride, she was game. In the chaos of life, her strength and her faith brought an island of peace, love and acceptance to all the people she loved. She has left our hearts in a million puzzle pieces and only through time and our memories of her will we be able to piece it back together. Her famous pickles and Christmas cookies will be passed through the family for generations to come and will bring a smile forever to our lips. Until we meet again, you and Maxine keep those booties shaking! Those Carol leaves behind to cherish her memory include her 4 children, Maria (Richard) Sandford, Michael Tank, Marsha (Mark) Shuda, Tara (Sydney Hodges) Tank; and a daughter of her heart, Chris Ainsworth; 7 grandchildren; 16 great-grandchildren. She is further survived by her sister, Pat Cammarata; sister-in-law, Gladys Ainsworth; nieces, nephews, other relatives and friends. Carol’s family will greet relatives and friends at the Church on Saturday, Feb 23rd from 10 am until the time of Mass. Memorials in memory of Maxine (Carol’s daughter) to Down Syndrome Association of Wisconsin (11709 W Cleveland Ave, Suite 2, West Allis, WI 53227; https://www.dsaw.org/donate). Carol’s family extends their heartfelt appreciation to the staff at Horizon Hospice for the loving care they provided. The Myrhum Patten Miller & Kietzer Funeral Home of West Bend has been entrusted with Carol’s arrangements. Additional information and guest book may be found at www.myrhum-patten.com.